The move comes in light of the recent arrest of a 42-year-old fake doctor who had been practicing at private hospitals in the area. He had been using a fake MBBS degree and medical council registration number of another medical practitioner in the state with the same name. While the police is investigating the case thoroughly to find out if he was part of a racket or not, the state medical council has decided to link Aadhar Details to the registration of the council. Further, since all doctors working in Kerala have to mandatorily get themselves registered under state medical council; therefore, the council is going to give a check on the doctors working at private hospitals. The details doctors working in 76 private hospitals have already been sought by the council. Along with the proper scanning of eligibility and qualification of doctors possessing their medical degrees from the country, strict vigilance will be given to those who come up for the registration with Travancore-Cochin Medical Council after having completed their degrees from abroad. Strong verification will be done of the certificates by sending their copies to the universities and embassies to consider their registration, informed a Travancore-Cochin Medical Council member confirmed to local daily mathrubhumi. 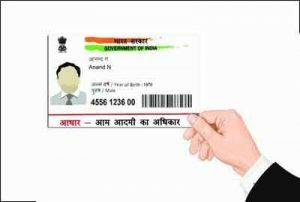 Further the daily adds that the council has decided to digitalise the personal details of doctors before approaching the government to link it with Aadhar. The verification process will be done for both allopathic as well as practitioners of Indian system of Medicine. The Travancore-Cochin Medical Council along with MBBS degree, has also started accessing details of medical professionals practising in the section of allopathy, ayurveda, unani and homeopathy. Good move–already the existing practice in Maharashtra Medical Council. But, Adhar confidentiality and secrecy to be strictly adhered to. Who will ensure that?